Two of the nearly 80 workshops scheduled for the upcoming Ohio Ecological Food and Farm Association (OEFFA) annual conference will help you help bees and their friends. Hongmei Li-Byalray of Wilberforce, Ohio’s Central State University and Chia Lin of CFAES’ Department of Entomology will present “Keys to Healthy Bees” from 10:30 a.m. to noon, Friday, Feb. 15. 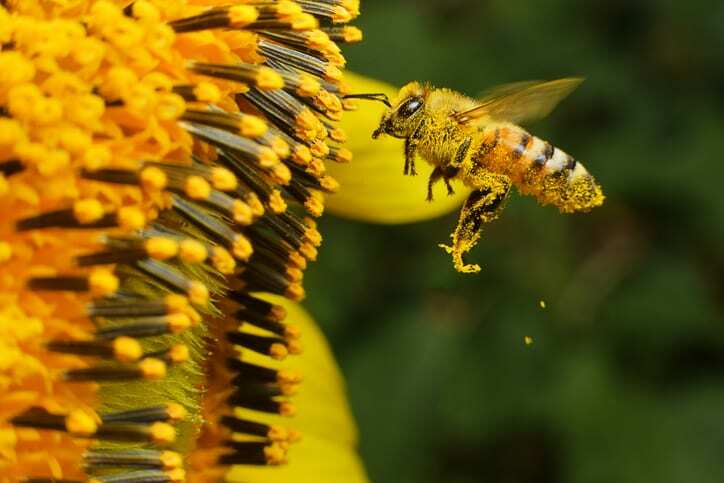 They’ll share their latest research on controlling Varroa mites (a harmful honey bee parasite), foraging preferences of honey bees, and floral resources for bees. Denise Ellsworth, director of CFAES’ Honey Bee and Native Pollinator Education Program, will speak on “Creating On-Farm Habitat for Pollinators and Beneficial Insects” from 2–3:30 p.m., also on Friday, Feb. 15. She’ll show how to evaluate—and then increase—a farm’s attractiveness to pollinators. The conference is Feb. 14–16 in Dayton. Find a full list of the workshops being offered. Online registration has ended, but you can still register at the door. CFAES is a Sustaining level sponsor of the conference. Posted by Kurt Knebusch at 7:16pm February 4, 2019 Posted in On The Farm and tagged beneficial insects, honey bees, pollinators. Bookmark the permalink.